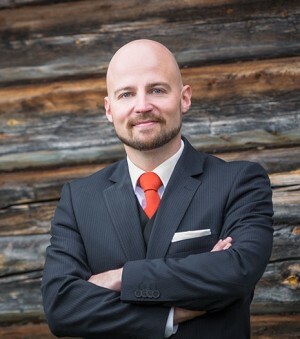 Mikko Kärnä, a MP from the Center Party, confirms that the country’s Ministry of Transport and Communication is proceeding with the grand infrastructure plans. According to the politician, himself a representative from the northern region of Lapland, the Ministry has decided to consider the Arctic Railroad as part of the Rail Baltica, the planned tunnel connection across the Gulf of Finland, Yle reports. «It is very important that these two projects are tied together. The outcome will make it possible to build a brand new connection from the Arctic Sea to the core of Europe», he says. «What we need now in order to make the project real is cooperation across the whole country and the whole political spectrum». According to the Finnish broadcaster, Finnish Minister of Transportation Anne Berner brought up the infrastructure projects in last week’s meeting in the Nordic Council. The commitment of the Finnish government towards the railway projects has been expressed on several occasions. In October last year, Olli Rehn, former EU commissioner, now Finnish Minister of Economics, underlined that «we want a railway connection between Berlin and the Arctic Ocean». In a meeting in Vilnius, Lithuania, this spring, Minister Anne Berner underlined that Rail Baltica, the large infrastructure project planned to connect Finland and the Baltic states, must get its extension to the Arctic Sea. This would open Arctic shipping routes from Asia for cargo trans-shipment to continental Europe via Rail Baltica, she said, a press release from the Finnish Embassy in Vilnius reads. However, in the background lure not only a connection to Central Europe, but also the rich mineral and metal resources in the northern part of Finland. Among them are the major phosphorous deposits in Sokli, a project owned by Norwegian company Yara. It would be far easier for Finnish mining companies to bring out their ores to the markets through an Arctic route than through the already crowded Baltis Sea. MP Mikko Kärnä argues that the Nordic countries now together should discuss a route for the Arctic railway. The main alternatives are from Kollari to Skibotten in the Norwegian county of Troms and from Rovaniemi to Kirkenes. «Not one state, even less the Lapland region, can decide by itself, whether the railroad will go to Troms or Kirkenes. The decision has to serve all the parties in the best possible way». According to Kärnä, the Arctic Railroad and the Rail Baltica could be started already during the present governments term. The cost estimate for the project in total is €10-16 billion.